I have always been a massive fan of great rock music - no matter what the genre (although could never get quite in to Punk!) - since first hearing Queen II all those years ago - and the 70's was a decade of fine music, from Classic Rock to Glam, and including Progressive Rock too of course. I have been fortunate enough to have witnessed some great rock artists play live (mostly at the once iconic venue the Glasgow Apollo, which is sadly no longer with us), and I have been accompanied on this journey by many friends - most notably with my cousin Campbell Stewart. I never had the talent to be able to make my own music, apart from a brief spell when I once picked up a Bass and gave it my best shot - sadly not good enough! But I have always enjoyed sharing the music that I love, and through any medium, whether it be as a spell as a DJ in Hospital Radio, or to a crowd of Ice Hockey fans, pumping up the atmosphere in the rink with some of the best rock tunes available. As we say at MyRock Radio.........LESS TALK.......MORE ROCK!!! 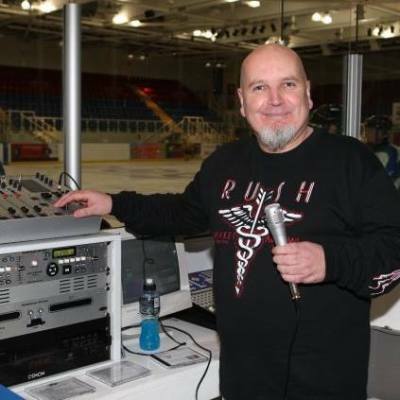 From Hospital Radio to Ice Hockey DJ in Dundee! I first became aware of MyRock Radio through my cousin Campbell Stewart (The Fatman on MyRock Radio). He presented (and still does!) a weekly eclectic rock show which has become very popular. I sounded him out about trying to get a slot on the station, hoping to play AOR and Mainstream Melodic Rock, and was then offered an opportunity to send in a Pilot Show to the station controller (Ian Martin) for his attention. I must have done something right as I was offered a weekly slot, intially on a Sunday evening from 10pm to Midnight, which then moved to its current slot of every Sunday night from 10pm to Midnight. I'm very grateful to be part of this emerging and innovative radio station, with its mix of international presenters, and individual genre driven shows including Metal, Prog, Blues, International Bands, Unsigned Bands, Classic Rock......and of course....Melodic Rock! So make sure you head over to the MyRock Radio website for all schedule and presenter information..................LESS TALK........MORE ROCK! Radio Saltire is a Community Radio Station based in the East Lothian region of Scotland that is currently becoming one of (if not already) THE biggest in the country. As a registered charity, it is always trying to meet the needs of the local community in East Lothian, but it also has its sights set on much bigger things. 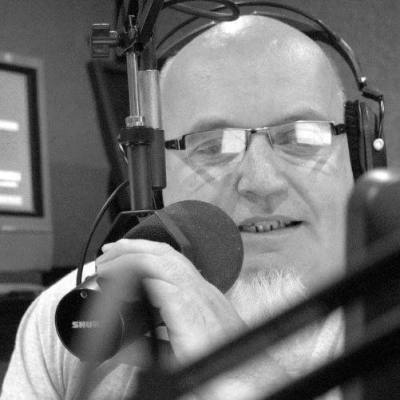 One of the current intiatives that Radio Saltire in involed in, is the introduction of its programmes broadcasting using DAB (Digital Audio Broadcasting), and it has just secured a 12 year license from OFCOM to broadcast using DAB covering the Glasgow and Central Scotland area, making Radio Saltire one of the biggest Community Radio Stations in Scotland. Radio Saltire has an eclectic mix of programmes to suit all tastes, including 2 Rock Shows - one being The Melodic Rock Show, as well as its sister programme "Saltire Rocks" hosted every Sunday evening by Alan Henderson - and all its programmes have an ever increasing number of listeners, evidenced by the amount of contacts and communication via the various Social Media options available. The Melodic Rock Show is on every Monday evening at 8pm (UK Time) until 10pm on Radio Saltire.